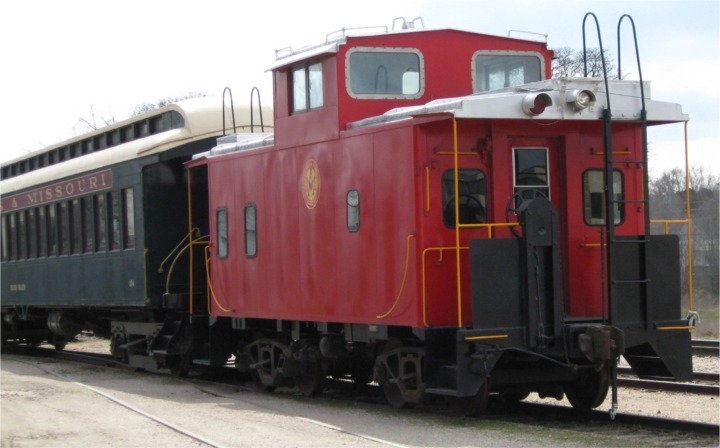 “Little red caboose, chug, chug, chug” — remember that? I was stuck waiting for a freight train to go by at Coles Crossroads one day and as the caboose-less rear end passed by that little song popped into my head. As the barricades lifted and I drove on down the Pamplico Highway, I thought about my first train trip over thirty years ago. I’d had a month’s worth of frustrating days at work. I needed to escape from phones, typewriters, and people piling more work on my desk. Early one morning I drove to the train station and bought a same-day round-trip ticket to Savannah. A sandwich in my pocket and a murder mystery in my purse, I anticipated a no-stress restful train trip to Georgia and back. The platform was crowded with what seemed to be seasoned travelers, some with small children in tow, some with shopping bags at their feet. I tried to figure out which track my train was on — I didn’t want to get left behind. When the conductor called out “All aboard,” most of the crowd headed toward the same track. Were we all going to Savannah? I maneuvered up the aisle looking for an empty window seat. The train car was half-full already and there was a noisy hum of adult voices and a few wails coming from unhappy toddlers. We got underway slowly with jerks and clangs and a bit of a wobble, and the noise level increased considerably. Some of the older children traded seats, friends sitting with friends instead of parents. Some adults exchanged greetings and others continued a conversation obviously already in progress. I just kept my eyes glued to the window trying to determine which streets we were crossing. Soon we were leaving the city limits and picking up speed. “Tickets please, have your tickets ready.” The uniformed conductor was punching our tickets. What would he do if somebody doesn’t have a ticket? I wanted to ask him but I simply handed him my ticket, then closed my eyes and tried to tune out the other passengers. It wasn’t quite as quiet in the compartment as I had anticipated. The rhythmic clack-clack of train wheels on tracks became a little song in my head to drown out the “people” noise. A few minutes later we were slowing down. What’s wrong? I wondered. Train wheels squealed to a stop and the conductor moved through the car again, this time calling out “Lake City, South Carolina.” Lake City? We’re stopping in Lake City? Even before the door could open some folks had gathered up their belongings and squeezed their way toward it. I had neglected to ask the ticket clerk an important question: Is this train non-stop to Savannah? It wasn’t. 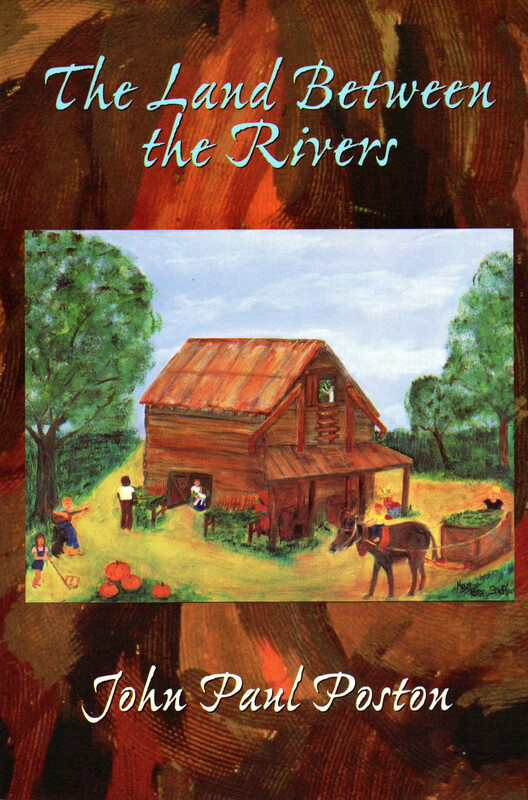 Between Lake City and Kingstree I read a few pages in my novel, but mostly I looked through my window, wondering who lived on that farm or what crossroads was this. I didn’t have to wonder about some places — the sing-songy conductor announced every small town and a few country crossroads as the train stopped every few miles. This train was a local. Okay, so maybe it wouldn’t be quite as restful as I’d thought, I told myself, but it was certainly interesting. I tried to imagine why my fellow passengers were traveling, wondering if any of them had as strange a reason for their trip as I did. It was easy to tell which of us were new to this train-ride business, we were all doing the same thing. But most of the passengers seemed to be old-hat. They had picnics in those shopping bags. Cellophane-wrapped sandwiches, fried chicken legs, boxes of saltine crackers and vanilla wafers, even milk jugs of grape or orange Kool-Aid. Foodstuffs were pulled out and passed around between seats, paper napkins and paper cups serving as dinnerware. When it neared my normal lunchtime, I pulled out my own sandwich and munched half of it slowly as I tried to read. That’s about when we entered the low country, and somewhere between St. Stephen and Charleston the tracks lost their level. The train car tipped sideways a few degrees and I found myself gazing into swamp water as we crossed a trestle. Clinging to the seat in front of me for dear life I glanced at my seat-mate with a nervous question on my face, but the business-suited gentleman wasn’t fazed in the least. “Don’t worry, this doesn’t last long,” he reassured me with a smile. One of the old-hat bunch, he was very familiar with this section of the line. He was right, within a minute or two we were as upright as ever and I tried to relax. When we arrived in Savannah I had to change trains, obviously. I didn’t want to wind up in Jacksonville. Exiting the compartment I got up the nerve to ask the conductor if my return trip to Florence had to be on a local too. “Check inside” was all he said, so I did. 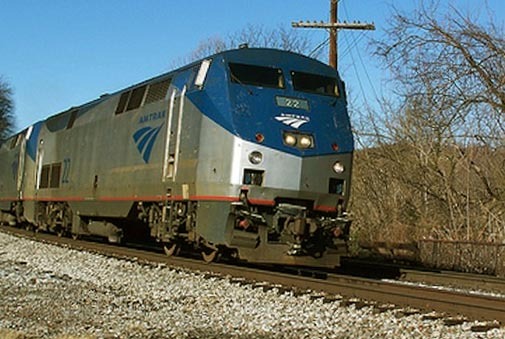 To my considerable relief my north-bound train made stops only in Charleston and Florence before heading on to other points. It was an uneventful ride. I took the low-country sideways section calmly, as if it was no big deal for an entire train to cross a swamp tilted on its side. To this day I can’t tell you what the reaction was from my family when I arrived home that evening. I doubt if the pile of paper at work was reduced any but my attitude was certainly improved. Whenever anybody added to my stress level, I just hummed my little clack-clack song, tuned them out and wondered where else the train went to and back in a day. Ghosts, Little Mermaids and Princess costumes, plastic pumpkins with handles for trick or treat— as sure as multi-colored leaves along the Blue Ridge Parkway, they’re a sign that Fall has fallen. And that’s just in the supermarkets. Who knows what you’ll find in Wal-Mart, K-Mart or Target, not to mention the costume shops. Nowadays kids and grown-ups alike have a variety of Halloween garb to choose from. Full-head masks are crafted with all the wrinkles, warts and moles of the latest TV villain or gorgeous hair and luscious lips of the coolest country singer. We didn’t have many choices in the 1950’s. A few chintzy Superman or Batman or Cinderella costumes appeared in the dime stores with more expensive ones in department stores, but selections were few. Paper grocery sacks with holes cut out to make handles served to haul home the candy loot. It all ate the same, after all. Scrounging through Mama’s sewing stuff one Halloween I found a long length of black fabric, a shorter length of fire-engine red. I promised not to cut holes in them and she let me fashion my own Halloween statement. A few well-placed safety pins later, I was a cross between Little Red Riding Hood and the Wicked Witch of the West. Black jeans and tee-shirt completed my glamorous or ghoulish style, depending on whether I wore the cape and hood red-side out or black-side out. Door to door we went, my brother and I, collecting Baby Ruths, Hershey Bars, bubble gum and gum drops, with an occasional pack of salted peanuts. We didn’t go far, just around a couple of blocks in our own neighborhood. Before we could do more than sample our goodies it was time to make our way to the Fall Festival at church (they frowned on the word Halloween). The Sunday School building had been transformed, each room featuring some fabulous game and prizes. There were even prizes for the best costumes, Bible characters preferred. I didn’t enter. I couldn’t decide just what Bible character I most closely resembled, other than that “bad guy.” Marshmallows, Hershey Kisses and Life Savers were added to our treasures and we headed home with anticipation. The next morning might mean a stomach-ache from an over-indulgence of sweets, but we didn’t care. A couple of years later my teenage friends and I decided to seek the Pee Dee River Headless Brakeman for Halloween fun. We drove way out the Marion Highway till we reached a dirt road close to the Pee Dee River Bridge, headed to the stretch of track crossing the river. 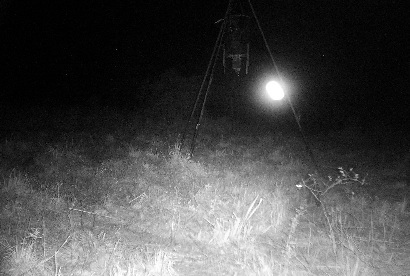 The tale had been told to us by an “in-the-know” adult that the ghost of a headless brakeman walked those tracks on Halloween night swinging his lantern back and forth. He was searching for his missing head that had been chopped off in a horrific train accident. We wanted to see that swinging lamp for ourselves. We arrived at the right spot, parked the car down the road near the bridge and waited, and snuggled, and shivered, and giggled — and then we saw it! Way up the track, a faint light appeared in the night. It swayed back and forth from one side of the tracks to the other but it never got any closer. Us girls were grateful, the light was enough and we had no desire to see the headless ghost himself! We watched the light for a few more minutes, then cranked up and got out of there. The story was true, we couldn’t wait to get back to town and tell all our friends! Some of our friends laughed, assuring us that swamp gas on a foggy night always looked like a flashlight shining along the tracks, it wasn’t relegated to Halloween, there was no headless brakeman, no lantern, we were ignoramuses to fall for it, ha, ha, ha. We stubbornly clung to our story. We knew what we’d seen. I recently discovered that since the late 1800’s Headless Brakemen have swung their lanterns in search of their heads from Paulding, Michigan to Moonville, Ohio to Big Thicket, Texas, even Wilmington, North Carolina. Well okay, maybe there really isn’t a Pee Dee River Headless Brakeman, but all of those stories can’t be tall tales, can they? The Carolinas are full of ghosts, after all. In the spring of 1936 several teenage brothers in the Poston area of South Carolina were bored for something to do. One brother had his friend Joseph Furches visiting, and as boys will be boys, they came up with something. 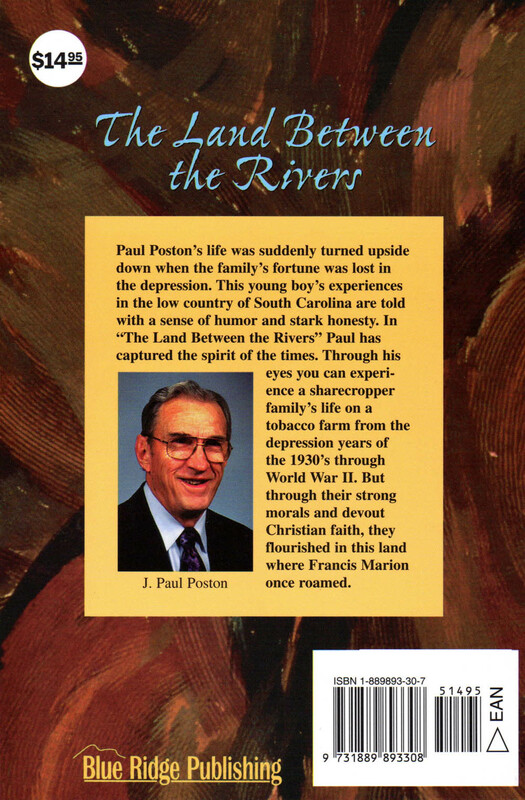 Paul Poston, about ten years old at the time, joined in his brothers’ fun and relates the story. “Lance, the usual leader of mischief, decided that they should make a dumb bull. “What’s a dumb bull?” I asked. Lance explained as they began to create it. They took a nail keg and knocked out both ends, then stretched a piece of cowhide over one end as tight as possible. A small hole was bored in the center of the cowhide and into the hole went a string heavily waxed with beeswax. They tied a knot in the string on the inside of the keg so it wouldn’t pull completely out. When they set the keg on the ground and pulled the waxed string, it made the most awful sound ever heard in that part of the country. “Our equipment complete, we started moving about the countryside so the terrible noise could be heard from different locations. ‘Uncle’ Jessie Ellison and two of his grandchildren lived in a house across the swamp and ‘Aunt’ Sara Eaddy lived down the road with five of her daughters. We decided to start in the swamp between Uncle Jessie’s and Aunt Sara’s house. When we pulled the string and changed the rhythm of the beat, it sounded monstrous. The quiet night was shattered when all the dogs in the community started barking and howling; even the mules started braying. Then we heard some pounding coming from Uncle Jessie’s house. The next morning we learned that he had nailed all the doors and windows shut! “About that time we cut down on the string and Mr. Cooper yelled out, ‘Close the door and open the window, I’m coming in!’ We could hear the women and children screaming and all the dogs around were having a fit. We thought it was hilarious, but when Dad learned what we were up to he made us stop. “The next morning everyone in the community wanted to find out exactly what had happened the night before. Uncle Jessie found a track in a ditch where two dog feet had come together, and he was sure something big had been through there. Now, normally my Dad wouldn’t stand for our foolishness but he reluctantly went along with it this time. He agreed with Uncle Jessie that probably a ‘big tiger’ was on the prowl. “Preparations were made all day Sunday in case the monster returned. Folks borrowed gun shells, rifle bullets, axes and pitch forks to protect themselves from this unearthly creature. By nightfall there was so much tension, few people got any sleep. “That night Uncle Jessie thought he heard something outside his house. He opened the window just wide enough to stick his gun barrel out and let go with two or three rounds, increasing the anxieties of everyone else. There were no beastly sounds Sunday night, however. Monday morning everyone figured the creature had moved across Lynches River to Snow Island, or into the swamps of Marion County. Later in the week we had a bit more fun with the dumb bull but when Dad heard about it, he put a stop to all our shenanigans. He was afraid somebody was really going to get hurt. “Well, since we weren’t using it any more, Lance’s friend Eddie decided to borrow the dumb bull. He tried it out one night in the woods near Ariah Davis’s house. He pulled the string a time or two and Ariah pulled the trigger on his shotgun. Eddie had to lay flat on the ground until Ariah ran out of shells, then he got up and ran for his life.